New research is emerging that further emphasizes how important public resources and social services are to our Chicago neighborhoods. A study published in the Journal of Racial and Ethnic Health Disparities highlights the prevalence of post-traumatic stress disorder (PTSD) in under-resourced Chicago neighborhoods. PTSD has largely only been discussed as an issue that impacts soldiers returning from war. However, PTSD can affect anyone who has been exposed to violence, including residents of neighborhoods where violent crime is all too common and the impacts of mental illness are often overlooked. Researchers found that “an environment of poverty and violence can worsen pre-existing depression” or trigger new mental health issues, particularly in women. Of the 72 African American women from the Oakland neighborhood who participated in the study, nearly 30% have PTSD and an additional 7% experienced symptoms associated with PTSD. The symptoms associated with trauma disorders are often debilitating and long-ranging. Doctors who conducted the research emphasize the importance of making mental health services available through community hospitals and primary care centers, especially since doctors know that talking to patients immediately after they have been exposed to trauma helps them to heal. Chicago, however, has done the opposite. Of the 72 African American women from the Oakland neighborhood who participated in the study, nearly 30% have PTSD and an additional 7% experienced symptoms associated with PTSD. 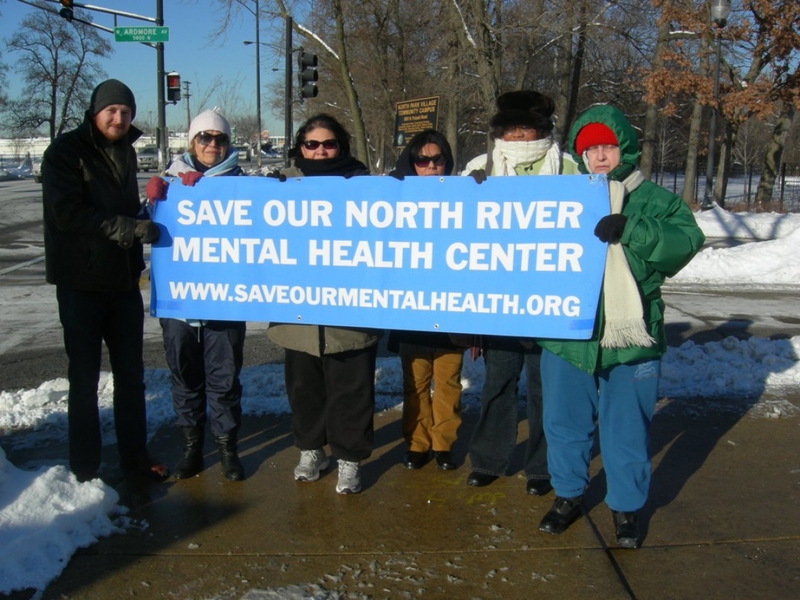 In 2012, the mayor closed six of the city’s twelve public mental health centers. In their place, Cook County Jail has become the nation’s largest mental health facility. One in three of Cook County’s inmates suffers from mental illness and it’s estimated that up to 40% of Americans with mental illness will be incarcerated at some point in their lives. This is despite the fact that people with mental illness are 2.5 more likely to be the victims of crimes than they are to commit one. In the absence of trained mental health professionals, people experiencing or witnessing a mental health crisis are often left with only the police to turn to. But without mental health centers to do appropriate intake for these patients, they are instead sent to the jail, where new inmates are required to undergo a health screening. Rather than providing necessary resources to help Chicago’s neighborhoods cope with violence, the city has instead criminalized mental illness. This shift is especially dangerous for Black Chicagoans, as Black Americans are twice as likely to be killed in a police encounter and six times as likely to be incarcerated as their white neighbors. Additionally, people with mental illness are sixteen times more likely to be killed by police. As we learn more about the high rate of trauma-induced mental illness in our city, we can more clearly demonstrate how Black neighborhoods are disproportionately impacted by street violence, police violence, and PTSD. This cycle continues as PTSD sufferers are themselves criminalized and subject to further police violence. Between closing mental health centers, and expanding a police force that is chronically undertrained in de-escalation techniques, Rahm has created a volatile mix for South Side communities. Rahm has created a volatile mix for South Side communities. This new study further reveals how our students and their families are impacted by violence in their neighborhoods and how intersecting issues compound that violence. Building safe schools means building safe neighborhoods, and safe neighborhoods are ones where communities have access to effective health care. incarceration, mental health, police brutality, trauma. Bookmark.